Want to March at Ohio State? The Ohio State Marching Band aka TBDBITL has just released the dates for their summer band clinic and you can register to participate. This year's clinic will run on July 17th and 18th. Students entering grades 10-12 are eligible to participate as well as 2016 high school graduates. Sorry woodwinds, but it's open to brass and percussion students only. For many students this might be the only opportunity you get to march with this great college band, so go for it! It's also a great way to see if college marching band is for you! 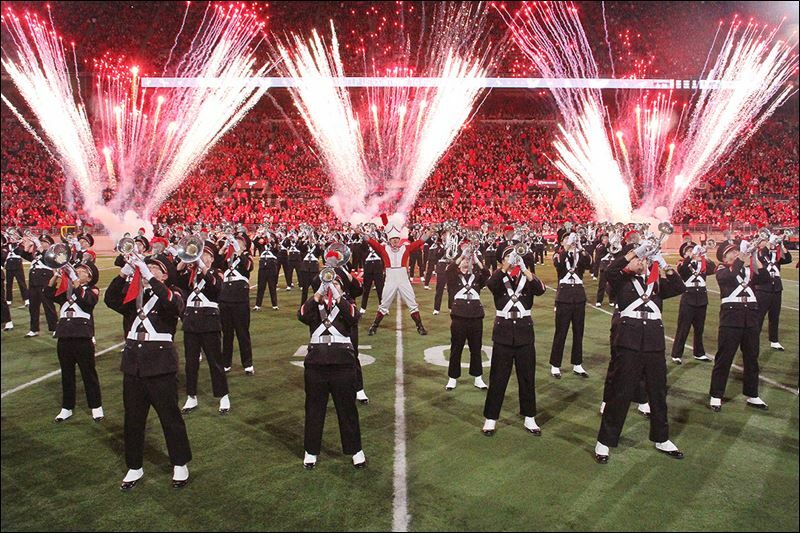 "The Marching Band Summer Clinic is an opportunity for high school marching band students to improve their musicianship and marching skills as they contemplate a potential audition for the Ohio State Marching Band. Under the direction of marching band staff and student leaders, participants learn the music and military style marching fundamentals used by The Best Damn Band in the Land in an encouraging, fun and interactive environment. The 2015 summer clinic welcomed students from 20 states."